BLOOMINGTON, Ind. — For the first time, schools will be required to teach computer science skills to all Indiana elementary and middle school students. Indiana will be one of seven states with formal statewide computer science standards this school year. All summer, computer science has been a focus at the Lincoln St. Boys and Girls Club in Bloomington. About 20 rowdy campers pile into the club’s computer lab. Games like Pong, Oregon Trail, and Pac Man. The idea is to give kids a fun outlet to see how computer technology has evolved. 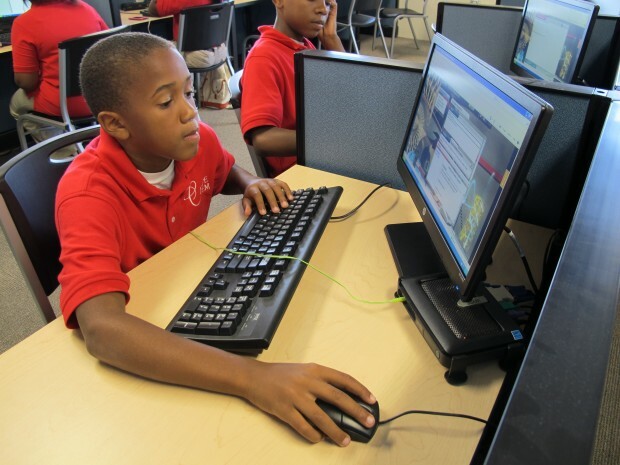 And the club also offers free classes in other computer skills, including typing, coding and robotics. When summer’s over, computer science will be a new priority in school too. “We really wanted to add computer science standards K-8, so we’re one of the first state to actually do that and require it for all students to learn,” said Jeremy Eltz. He oversees standards for the Indiana Department of Education. Indiana’s not alone with a state-mandated focus on computer science skills. While some states may set a higher bar with computer science guidelines, they’re only guidelines. In Indiana, computer science is now required through eighth grade. “We want to see the computer science standards embedded in English class, math class, social studies, music, things like that,” Eltz said. The idea isn’t necessarily to teach specific computer skills, like coding. It’s getting kids to think digitally. By the end of 8th grade, students should understand the difference between hardware and software, know the functions of a computer network, and be able to troubleshoot certain software problems. So, Eltz said they wrote the standards loose enough to be hit in any subject. “Those should be taught across the board and not just in your science class,” Eltz said. It standardizes what some teachers have done for years. Kyle Robertson teaches at Bloomington’s Jackson Creek middle school. The social studies teacher loves maps. So he brings that love into the classroom. “One of the assignments that I really like is a Google Maps scavenger hunt,” Robertson said. It’s part of Robertson’s geography unit for his students. “I give them a list of some of the things that they have to identify. And in doing so we learn how to do google maps,” Robertson said. It’s a way to teach students the subject matter and get them used to using technology. The exercise also meets the computer science standard that says students should create products with web tools. If you click on the different icons a picture of the location pops up. Students write descriptions of what they are. They then turn the project in online. 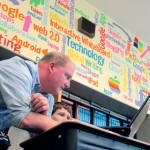 As technology’s changed, Robertson has seen his classroom change too. He said it puts them in charge of their own learning and teaches skills students will need for the jobs of tomorrow.